I’ve gotta tell you, I said “this probably isn’t going to turn out” to myself at least 17 times as I made this pie. 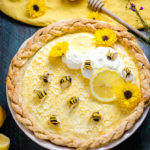 But much to my surprise, the bees wound up looking like bees, the honeycomb pattern looked like honeycomb, the filling set to an awesome consistency, and the Honey Lemon Chiffon Pie… well, I don’t want to be arrogant and say that it wound up perfect, but it tasted pretty perfect to me. Let me just tell you, by the way, I’m no pie expert. 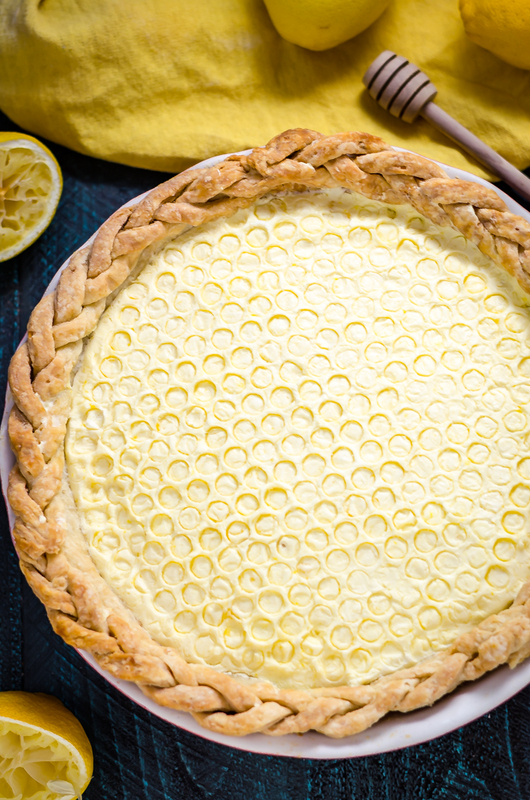 I can count on one hand all of the pies I’ve ever made– they’re all on this blog, actually. I still get nervous about making my own crust, and I always worry that using new techniques will leave me stuck in the dark alleyway between “you tried your best” and “at least it’s edible.” I’m convinced that pies can smell my fear. Still, when I saw the inspiration for this pie I knew I had to go for it– you gotta dream big, after all. And if I can pull this off, you’re going to absolutely rock it. And the bees! 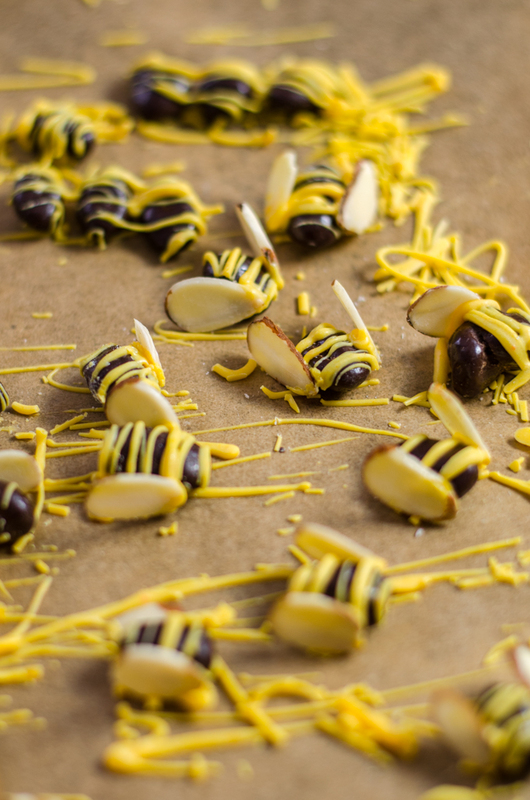 I made the bees by adding a couple of drops of yellow food coloring to a small bowl of white chocolate wafers, microwaving them together, and drizzling the melted mixture over some chocolate-covered raisins. Then I took almond slices, dipped the ends in the white chocolate, and stuck those to the sides of the “bee bodies” to look like wings. Adorable, right? 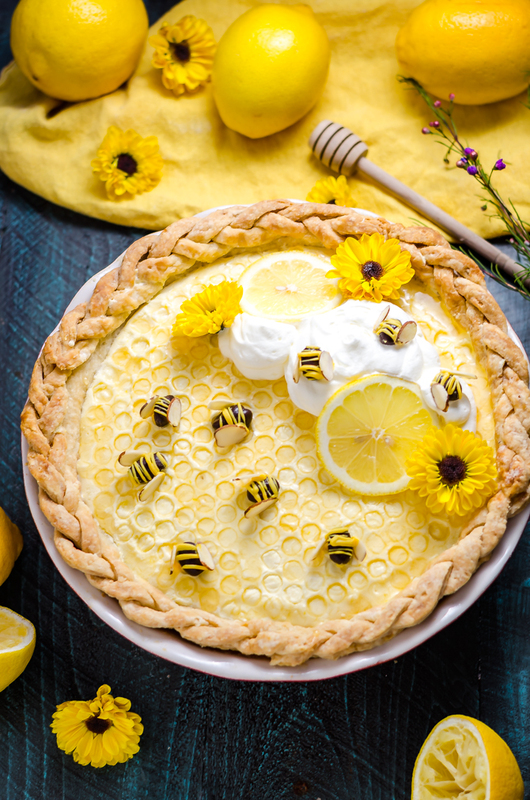 I love that the honeycomb pattern and little bees made this Honey Lemon Pie really work for spring or summer. 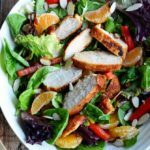 I mean, when I think pies, my mind usually goes to fall– to gooey, warm, and bubbly fruits tucked beneath ultra-buttery crumbles and crusts, or to dense pumpkin purees overloaded with cinnamon and nutmeg. 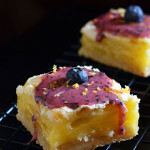 But with Pi Day around the corner, I wanted to make a pie that was billowy, bright, and used seasonal flavors. 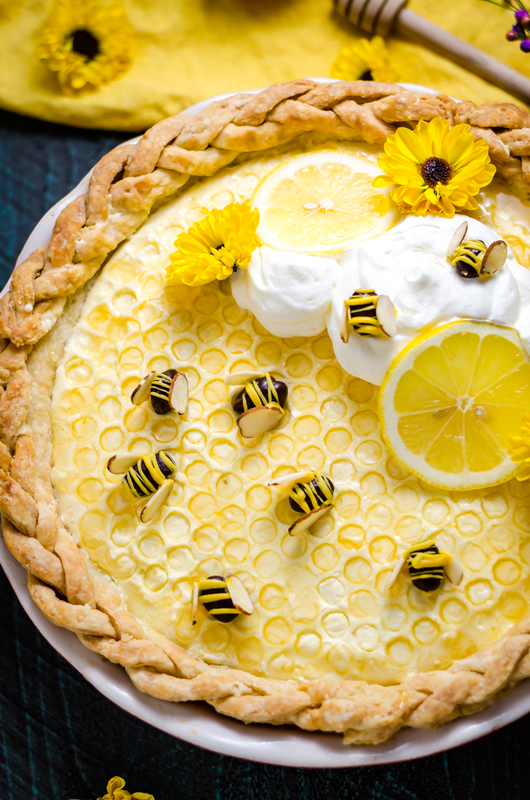 And the first thing that came to mind was a sunshine-yellow chiffon pie with bumble bees and flowers and citrus. 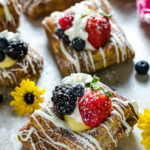 It feels like the perfect Easter or Mother’s Day dessert, doesn’t it? Especially if you’re a lemon-lover like me. 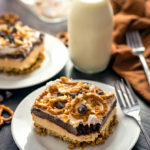 By the way, I vaguely mentioned Pi Day just then but I keep forgetting to let you guys know about this awesome contest that I’m helping to run right now! 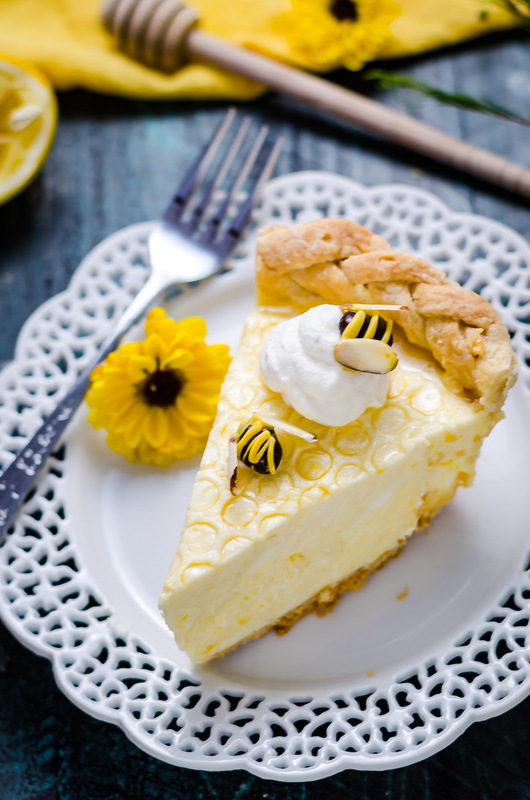 It’s called the “Show Us Your Pi” Instagram photo contest. 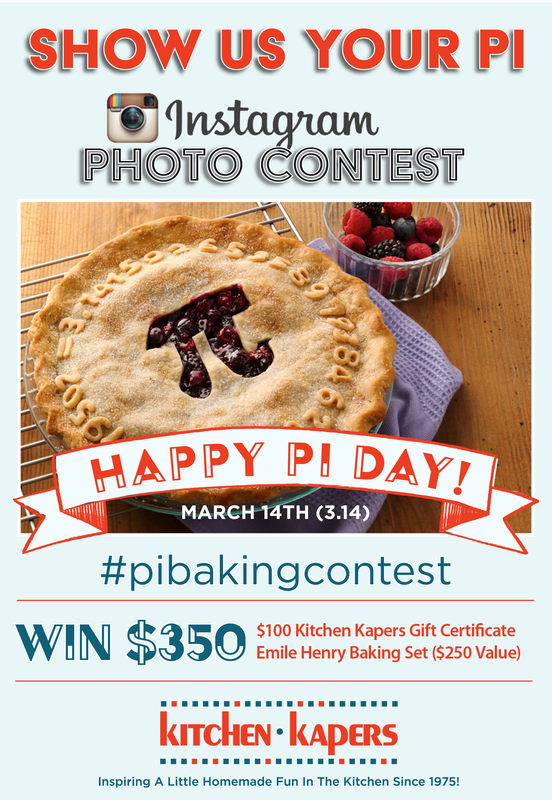 All you have to do is share a picture of your homemade pie by the end of Pi Day (3.14) 2017 on Instagram with the hashtag #PiBakingContest to enter, and you could win $350 worth of prizes! More specifically, you could win a $100 Kitchen Kapers Gift Certificate and a Emile Henry 8-Piece Baking Set. 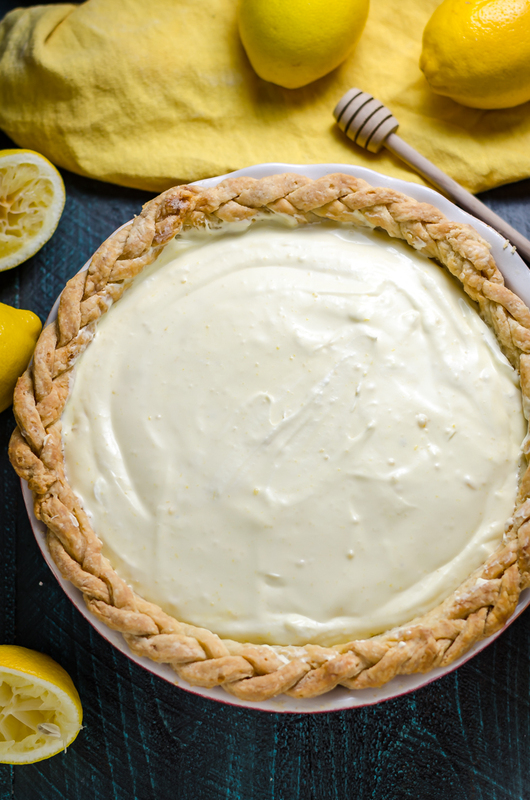 The pie plate I’m using in this recipe is actually from Emile Henry and I highly recommend it– luckily, you’ll get one in the baking set if you win. The entry with the most “likes” wins, so be sure to share the link to your photo with your friends. Voting will end 3/14/17 and the winner will be announced on Instagram on 3/15/17. 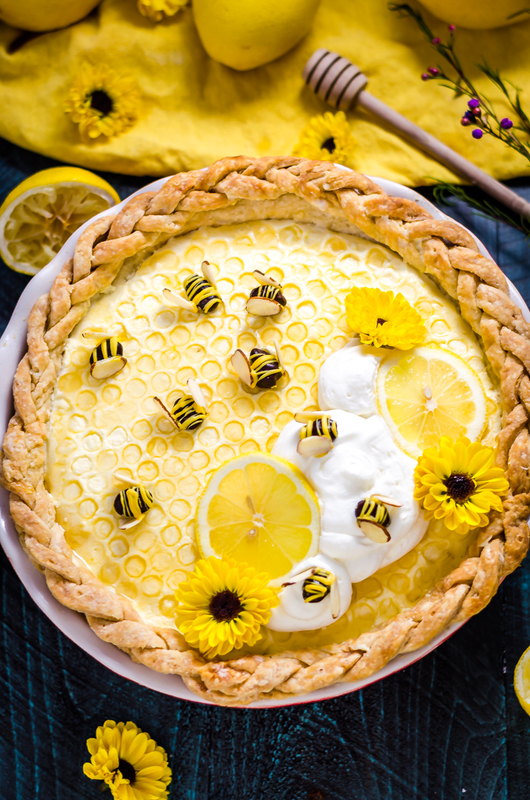 You can even use an old picture of one of your homemade pies (if you have one), so go ahead and get those prizes! You got this. By the way, I can’t enter (obviously!) 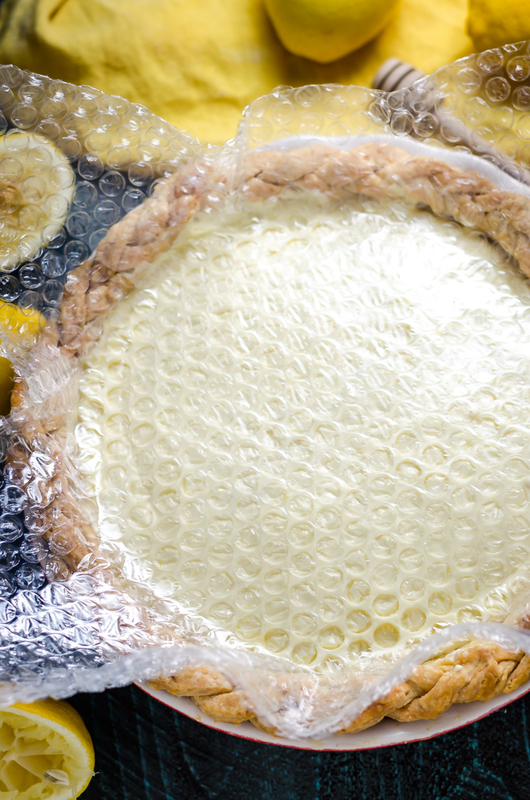 but you could always make this Honey Lemon Chiffon Pie yourself and enter it instead. I’m biased, but I think it’d get a lot of likes, don’t you? And even if you don’t wind up entering the contest, don’t forget to take a picture for Instagram anyway, as always! 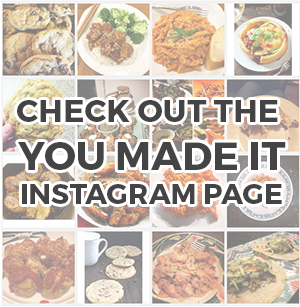 You can still tag #hostthetoast and show off your pie to the world on the You Made It page. I can’t wait to see yours!